Z.E.N. Advisor: Peter Waldstein, M.D., F.A.A.P. Dr. Peter Waldstein is arguably one of the most sought-after and distinguished pediatricians in the country. In private practice for almost 30 years, Dr. Peter Waldstein, who is lovingly called Dr. Peter to all who know him, has touched the lives of countless children and families. He is highly renowned for his professional expertise and lifelong commitment to improving the quality of life for young people. Dr. Peter is an attending physician at Cedar-Sinai Medical Center and an Assistant Clinical Professor at the University of Los Angeles. He is also a medical consultant for Keils Baby Products. Together with his wife, author Laurie Waldstein, he maintains a thriving practice in Los Angeles. Recently the Waldsteins embarked on a new venture with their Dr. Peter’s Child Identity Kit. This gives parents a way to permanently record vital information about their children. The Waldsteins’ caring and compassion are reflected in their many philanthropic endeavors, which include work with Children’s Hospital Los Angeles and the Neil Bogart Memorial Fund to find a cure for children’s cancer. Dr. Peter also serves on the board of directors for Rags to Riches (a garment industry organization that benefits numerous children’s charities) and sits on the board of directors for YOUTH Inc. (A national charity that helps inner city communities establish independent after-school programs). For his work, Dr. Peter received a “Community Hero Award” from YOUTH Inc. He has also been honored by The H.E.L.P. Group, supporting children with learning disabilities. 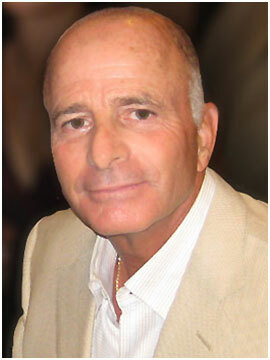 Dr. Peter Waldstein is a big part in the growth of Z.E.N. Foods by bringing not only a wealth of knowledge in his diverse efforts in helping children, but also the numerous key relationships he has accumulated over the years.